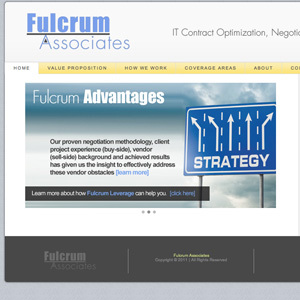 Fulcrum Associates (aka fulcrumleverage.com – great domain name btw) was starting from scratch. We decided to develop 3 value propositions which we turned into visual slides on the home page. We chose visually striking images to support the values in order to communicate what FA can do for potential clients. You don’t always get a lot of time with visitors, so a quick at-a-glance blast of key information is important. 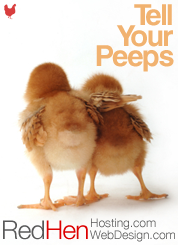 Above and beyond the call of duty for a web designer I believe, but a great value for my clients.